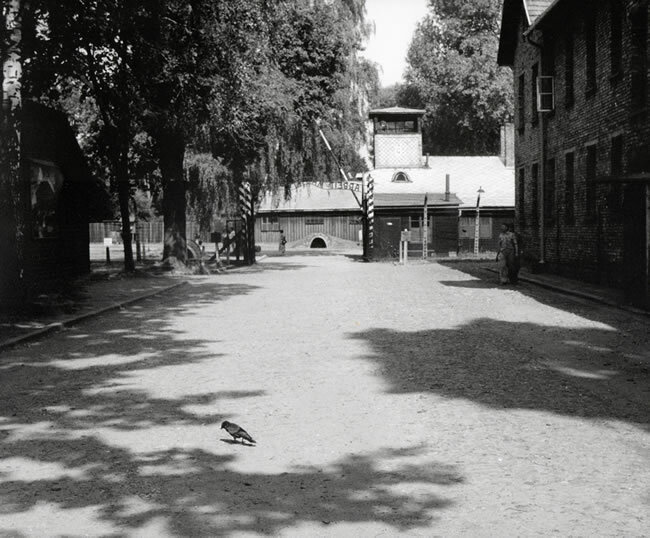 Museum at Auschwitz-Birkenau, 1992. Mass theft accompanied mass murder. 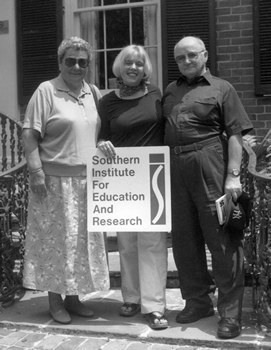 Auschwitz survivors Dora Niederman and Siggy Boraks with student (and future teacher) Carron Fillingim, at the Southern Institute’s summer workshop. Our survivors Siggy Boraks and Dora Niederman were both enslaved at Birkenau in the summer of 1944. Birkenau was the main extermination center of the vast Auschwitz complex. Its first victims were the prisoners who were forced to build the camp: Polish civilians and Russian POWs. In a warehouse known as “Canada” for the riches it held, the belongings of the victims were cleaned, sorted, and bundled off to replace the losses and revive the spirits of the bombed-out civilians in the Reich. Over a million people were killed at Auschwitz-Birkenau. The victims came from all of the countries in Europe and included many non-Jews. But the vast majority of victims, some ninety percent, were Jews, a fact that was denied by Polish authorities during the forty-five years of communism, when the truth found little currency and Jewish suffering little sympathy. Dora arrived at Birkenau on a transport from Hungary in May 1944. Siggy came from the Blizyn labor camp, near Radom, Poland, in July 1944. 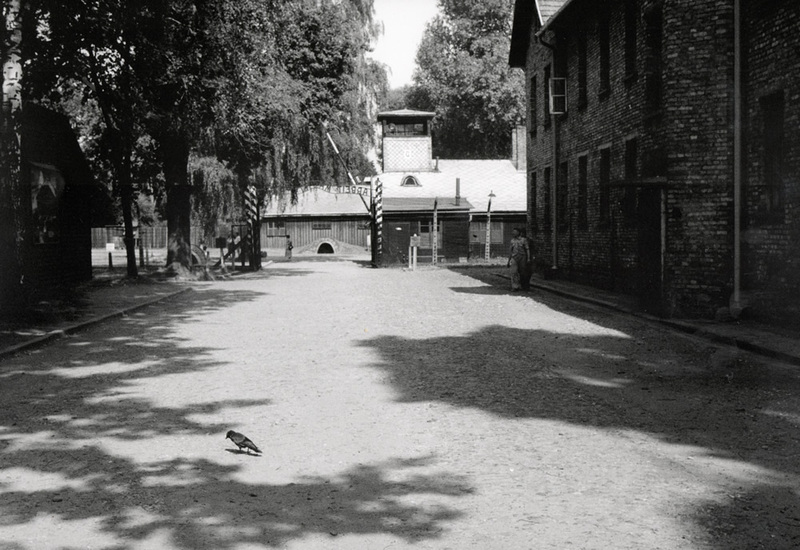 The two give us a remarkable account of the death camp in its most lethal hour. Everyday for nearly two months, four transports from Hungary, each with forty-five box cars, arrived at the “ramp” in Birkenau, where the SS and the Nazi doctors awaited a traumatized people who hadn’t the slightest idea of where they were or what to expect. Everyday in this place, 12,000 Jews were murdered in one of the four gas chambers. 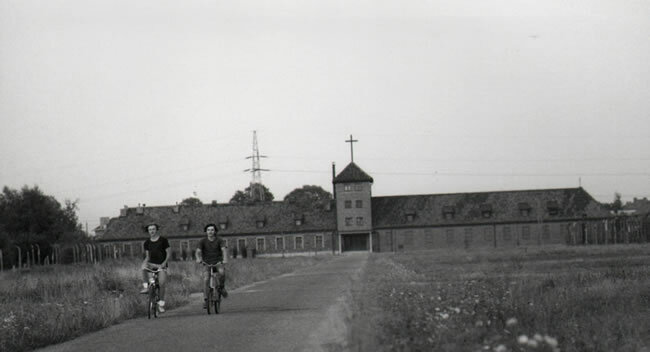 Bike riders take a short cut across the grounds of the former Birkenau death camp, 1992. 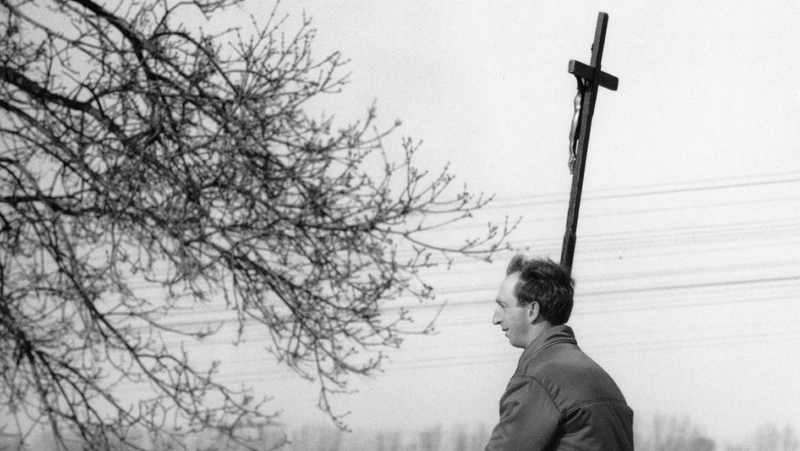 The building in the background, with a crucifix, housed the SS. By the time the July 4th article and the July 8th editorial were published in the Picayune, Dora had been a slave in Birkenau for two months. Siggy arrived there on a transport from the Blizyn camp later in July. In the last month (or so) of the war, Dora and her friends escaped from a death march. Dora’s liberation by the Russians left her with an emotional scar. As for Siggy, he left Birkenau in an uncovered boxcar, with no room to sit, in freezing weather. He ended up in the Kaufering labor camp in Bavaria, a place where hunger was terrible and cannibalism reigned. Siggy was liberated by the Americans at Dachau. When Dora and Siggy settled in New Orleans after the war, they became the best of friends. Both of them spent their twilight years sharing their experiences with students and teachers. They participated in our workshops and traveled with us to schools across the Deep South. Siggy’s favorite school was in Gran Coteau, Louisiana, and Dora’s was in La Rose, Louisiana, on Bayou Lafourche.